Geranium prat . 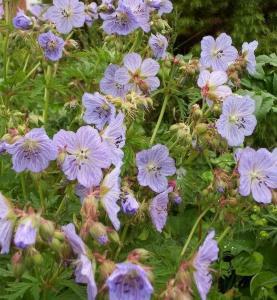 'Mrs Kendall Clark' is a tall but compact perennial with large finely cut leaves. Bears light grey-violet, tinged pink flowers 4cm in size during June - July. 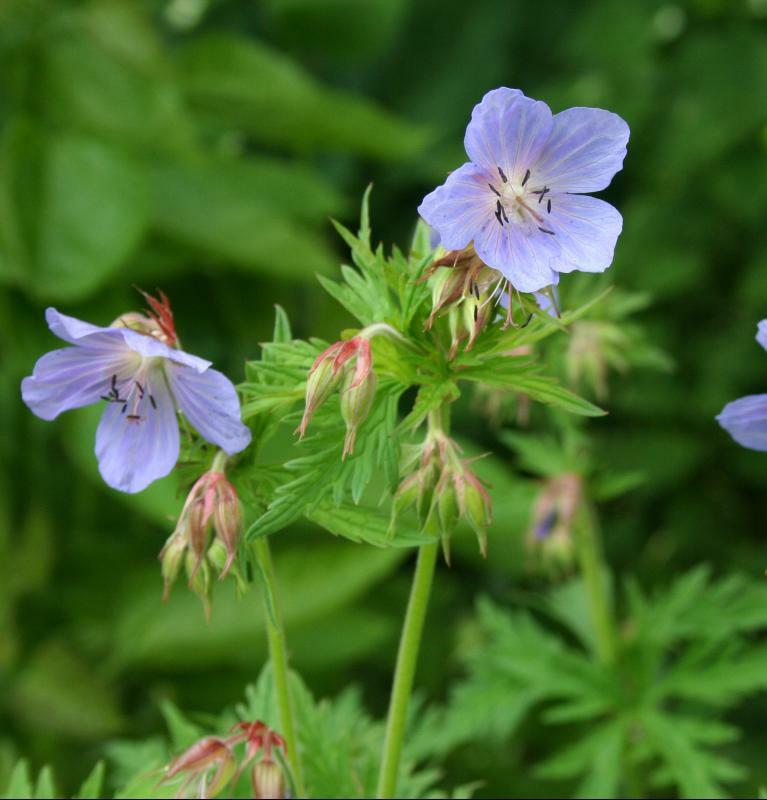 Grows in full sun or partial shade in any moderate soil apart from waterlogged soils. Hardy. Height 1m, spread 1m.